“Does Acupuncture Hurt?“ is the question that people who haven’t had acupuncture always ask me. Well, my answer is that some people are more sensitive than others, and some points are more sensitive than others. But I also always tell that it is nothing like pricking yourself with a needle or having an injection! Acupuncture needles are very fine – “as thin as a horse’s hair” is the usual quote to describe them. There are over 300 acupuncture points on the body and these points coincide with ‘wells‘ or natural dips in the body structure where an acupuncture needle can easily slide in. These dips are where it is easiest to connect with your Qi, your energy which flows throughout your body. Acupuncture needles are never forced into the body. Most acupuncturists will take care with needle insertion, especially if someone is nervous or is more sensitive to the needles. The needles can be inserted with or without guide tubes depending upon what the patient finds easier. However, if you are very sensitive and find that your acupuncturist still hurts you it is worth trying another one as therapists vary in their sensitivity to their patients and in their needling technique. Needles usually stay in the body for 20-40 minutes. Generally, the patient is unaware that they are there and will relax and very often fall asleep. The needles are gently removed at the end of this time. Sometimes, after inserting the needle, the acupuncturist will ask you to tell her when you can feel something, usually either a buzzing, tingling, pulling or a surge. When this happens, it means that the needle has connected with your Qi. Your therapist will then turn the needle 180 degrees and immediately remove it. This technique is important when your acupuncturist wants to tonify (give a boost to) a particular point. and Gua Sha, which can help you balance your system. If you have a cold or if you are a woman and on your period, you may be more sensitive than at other times and you may want to arrange treatment around this. Where does acupuncture hurt the most? Acupuncture points on the more bony parts of the body, the hands and feet, can be more sensitive than other areas. Does acupuncture hurt after treatment? It is very rare for there to be any ongoing pain after an acupuncture treatment. Occasionally, there may be some bruising but it is unlikely to be painful. Also, very occasionally the needle may aggravate a nerve but any problem usually resolves within a couple of days. Can acupuncture harm my baby? In the hands of a qualified acupuncturist, acupuncture will not harm your baby. Also, it can be very helpful with some of the unwanted side-effects of pregnancy: morning sickness, constipation, sciatica to mention a few. If you ensure that the acupuncturist you choose is properly qualified acupuncture is safe. If you would like to hear my full answer, please watch this brief video. Check here how best to prepare for your first acupuncture treatment. 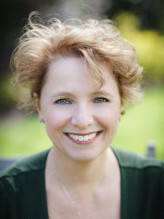 Jackie Graham is a licensed acupuncturist working in Ealing, west London (W5 and W13). She is passionate about helping people towards good health. For an appointment email her at info@jackiegrahamacupuncture.com or call her on 07733274745. You can also find Jackie at Bridge to Health, Ealing.